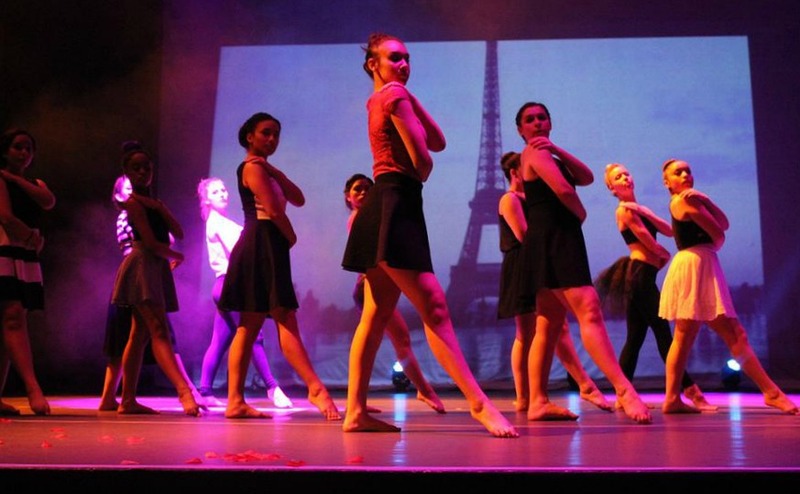 The Bayonne High School Dance Department presented an original ballet titled Trouver la Vérité (French for “Find the Truth”) on May 14th and 15th in the Alexander X. O’Connor Auditorium. Featuring over 80 student dancers, the ballet followed the life and death of Marie Antoinette, shifting between France and Austria in the 1700s and modern day Paris. Classical music met pop and techno, and traditional gowns from the era of the French Revolution were in stark contrast to modern day Parisian fashion. Conceptualized and designed by Kelli McGovern, a Dance teacher at Bayonne High School, Trouver la Vérité was entirely comprised of original choreography by Ms. McGovern, Ms. Alexander (BHS Dance and Musical Theater Instructor), guest professional choreographers and Bayonne High School students. The cast included dancers from all levels of BHS Dance electives, the BHS Dance Company (an auditioned ensemble), the BHS Apprentice Dance Company (auditioned ensemble of dancers in grades 6-8), and guest dancers from the BHS Saturday Dance Program (grades 3-5). Emma Massarelli, a Bayonne High School senior, played an exquisite Marie Antoinette. Crossing traditional ballet and pointe technique with modern dance, Emma mesmerized audiences with her portrayal of the ill-fated Queen of France. Upon graduation, Emma plans to attend the highly competitive Tisch School of the Arts at New York University to study dance. She performs in nearly every number throughout the work, including a breathtaking solo at the end of the second act titled “la Disparition”. Massarelli did extensive research into the history and life of Marie Antoinette, describing her as an “ostentatious woman who always tried to present a persona of confidence”. Emma believes that “la Disparition”, which was set amidst the turmoil of the French Revolution, is a glimpse into the human side of Marie while at her most vulnerable. 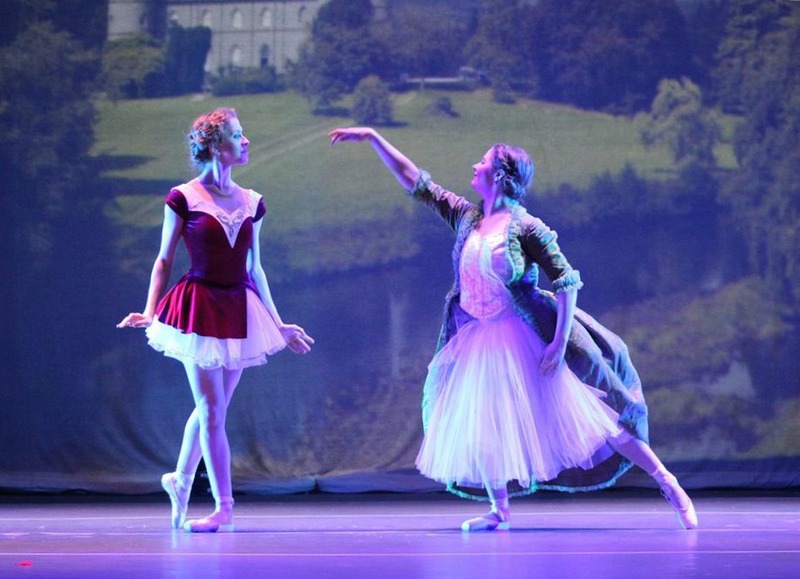 Caleigh Higgins and Samantha Kobryn, Dance III students, both agreed that working on this original ballet was an engrossing and beneficial experience for them. Higgins was acutely aware of the cross-curricular connections to the history of Marie Antoinette and the French Revolution, and felt she gained a truly unique perspective into the history of the times by working on and performing in Trouver la Vérité. Kobryn agreed, saying “I almost cried on stage the first night of the performance when Emma (Marie Antoinette) was executed. She was only a teenager when she got married and became the Queen – so I tried to imagine myself in her shoes”. Samantha Kobryn (right) plays Marie Antoinette’s mother, sending her off to France to be married. The overreaching concept of Trouver la Vérité, according to Ms. McGovern who conceptualized the piece while traveling to Paris and touring Versaille, was not only to study Marie Antoinette but to explore the broader themes of perception in society – and how public scrutiny and gossip pervade throughout history and in modern times. McGovern believes that young dancers can learn more about dance – from a technical application and performance aspect – by exploring big concepts that allow for a connection between the dancer and the piece, as well as the audience. McGovern has been invited to present a talk on this pedagogical philosophy at the 2015 National Dance Education Conference in Phoenix, Arizona in October. If you missed Trouver la Vérité, do not worry – the Bayonne High School Dance Department is only just getting started. We can be sure to expect continued great things from this program! BHS Drama Presents “Almost, Maine” – It’s love, but not quite..
AfA2 Presents: Full STEAM Ahead!